U hebt nog geen producten in uw winkelwagen. The Sky Surf brings foiling to the wave face in its purest form! Our new dedicated foil surfboard lets you catch waves earlier, glide on ocean swells and carve powerful turns on the smallest of waves. With its compact shape and relatively high volume the Sky Surf is designed to be super easy to paddle and an absolute ripper on the wave. Offered in three sizes, both with stacks of volume, they are the perfect platform for all levels of foil surfing. By keeping the board short, wide and light the Sky Surf is extremely responsive underfoot and offers a huge amount of performance on the wave. Its reduced length allows it to fit easily on the wave face and gives scope for radical turns on even the smallest of waves. 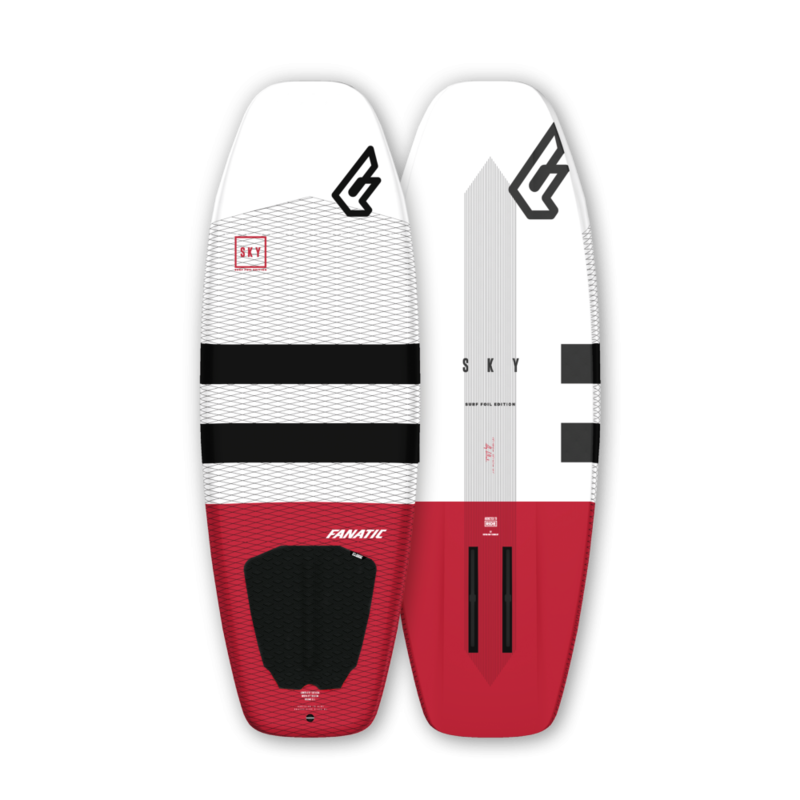 Unique features such as the double concave deck, adjustable foil mount and channel bottom give this dedicated foil surfboard the necessary magic to boost performance and stand out from the competition. If you’re looking to maximize your days on the wave, there’s simply no other surfboard that can deliver more rides per year than the Sky Surf! It’s a board that will open up a whole new world of surfing experiences and at the same time make even the worst conditions feel special!